Santa Cruz is an exciting island. A whole bunch of things to see and experience, spectacular beaches, beautiful walks, great roaming around at the port, wildlife and nature galore. 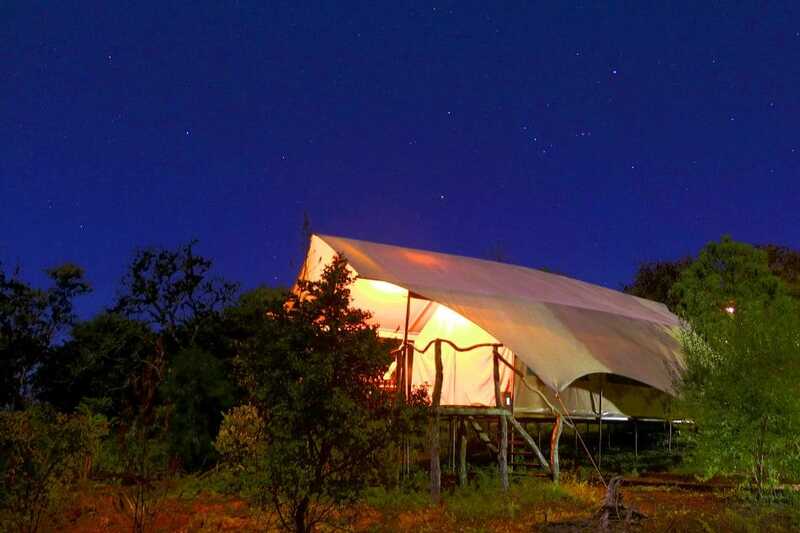 At Galapagos Safari Camp, we call it home. Let’s start from the bottom up, at Puerto Ayora, a friendly town where sea lions nap on benches and rays and reef sharks swim by the swaying boats on the pier. Many cherish a brief moment standing against the handrails of the creaking dock in the evening as lampposts illuminate sections of the water, revealing anything from sea lions and large sea turtles to schools of golden rays. 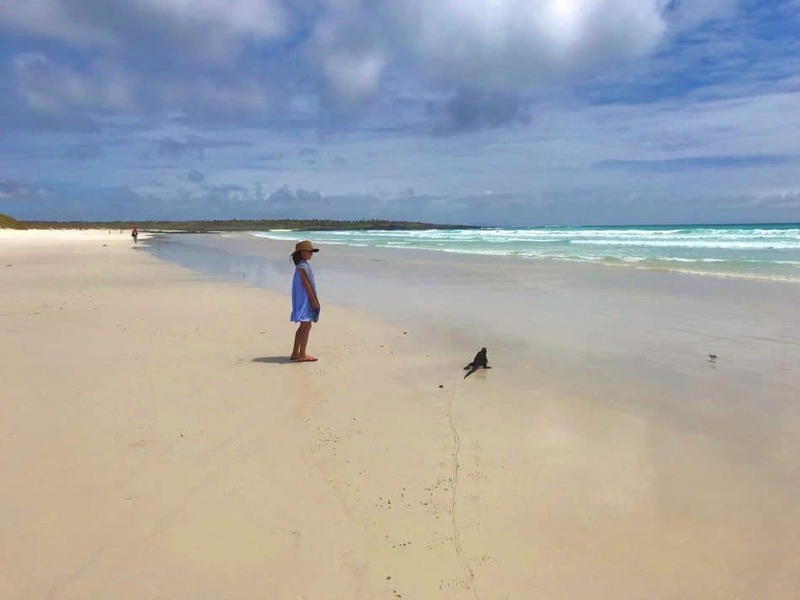 By day, it can get hectic as visitors embark on their Galapagos tours, head out to other islands or make it across to Angermeyer Point to bask in the sun at German’s Beach and take the wonderful cacti-laden path past the local salt mine to Las Grietas. This small canyon filled with turquoise water is uniquely alluring, you’ll find it difficult to leave. The town is very pretty, with giant Opuntia cacti lining sidewalks made with slabs of lava and pelicans haunting the fish market by the dozens, where fresh tuna and the unique and prehistoric-looking Galapagos lobster are usually on display. The closest thing to a museum in the archipelago is the Charles Darwin Research Station. Most Galapagos tours make it a point to make a brief visit. 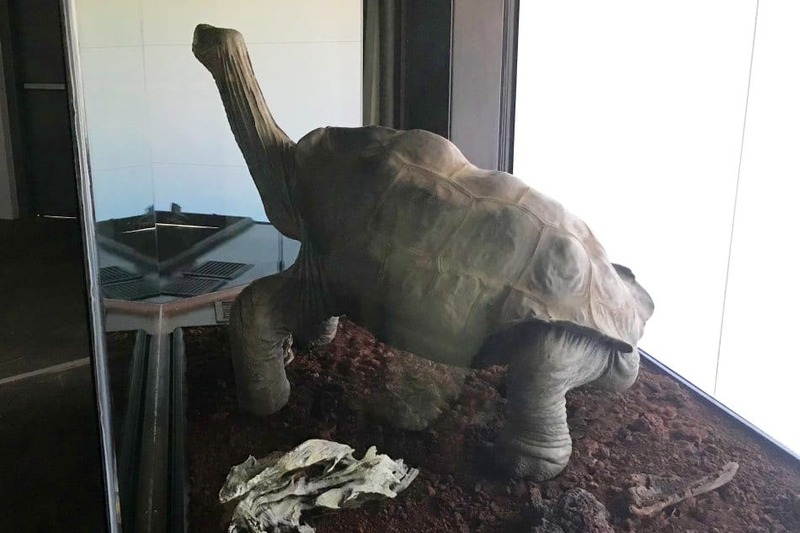 It’s piece de resistance —apart from the teeny-tiny and utterly adorable baby tortoises grouped by age at the breeding center —is embalmed Lonesome George , looking smart and proud in his very own hall. 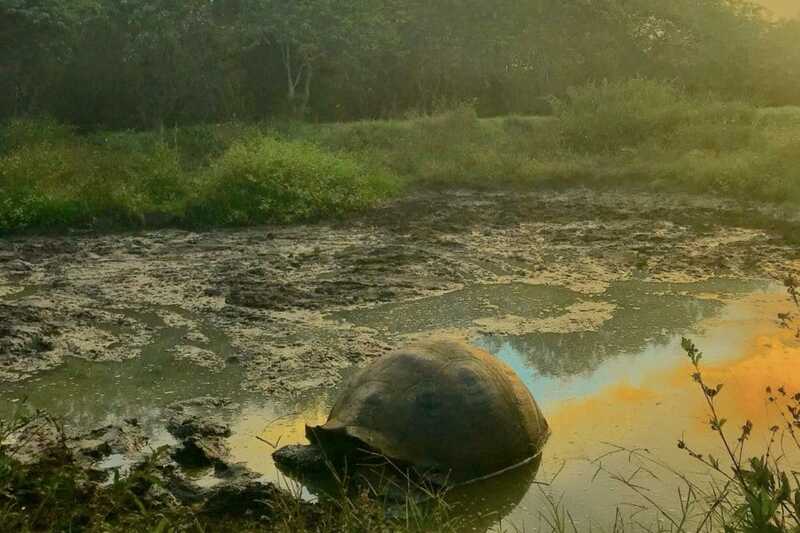 Lonesome George was, during his lifetime, considered the last known member of the Pinta Island giant tortoise subspecies and became a flagship for conservation around the world. Considered one of the world’s most beautiful beaches, shortlisted by the likes of The Independent, TripAdvisor and The Telegraph, Tortuga Bay’s Playa Brava (Angry Beach) is a veritable “infinity beach” with perfect white sand and turquoise waters as far as the eye can see, although the tide is rough and swimming is not recommended. Playa Mansa (Calm Beach) is where the swimming and kayaking takes place in divine, completely transparent water. Not far behind in ranks is La Galapaguera, with more turquoise water to float in and powdery golden sand, where you can kayak. 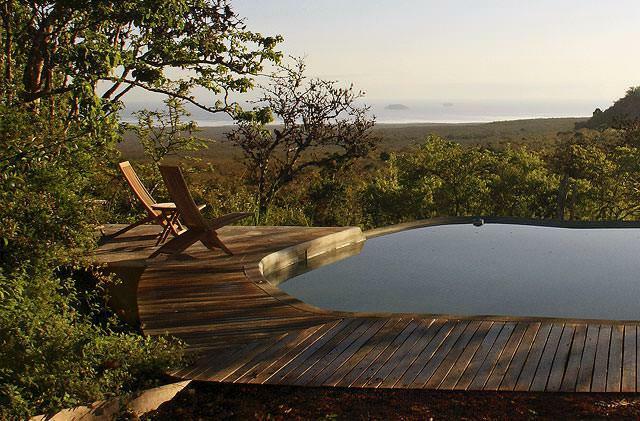 Since it is more recluse and less visited, you may even have a chance to have it all to yourself. 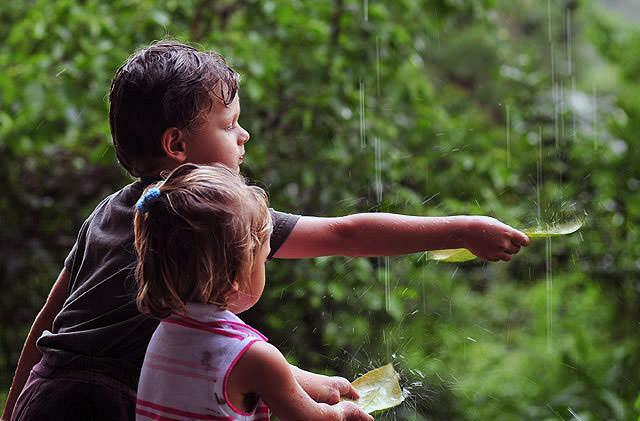 Santa Cruz is not only sun and sand. 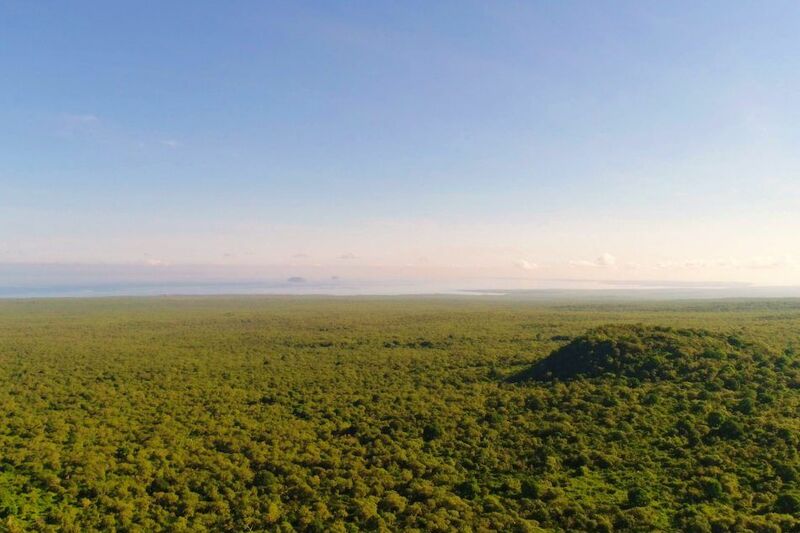 It is a very lush island, with spectacular forests dominated by two distinct tree species, Miconia or Scalesia, each one forming its very own “vegetation zone”. Scalesia is particularly interesting, a tree species endemic to the Galapagos that actually belongs in the daisy family (the only daisy to be a tree) and as such is astoundingly adaptive and resilient. 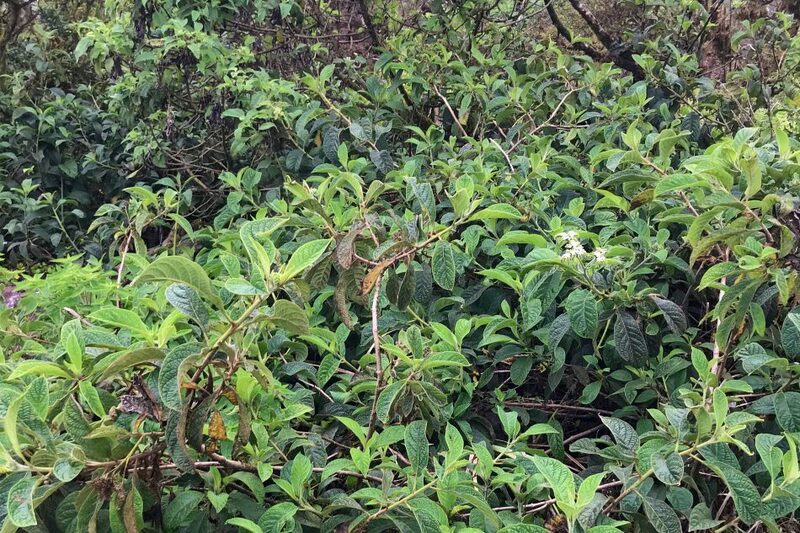 Miconia, on the other hand, is a much more common genus of plant species throughout, but the Galapagos variety features pretty red-tinged leaves and grows higher than its continental relatives. 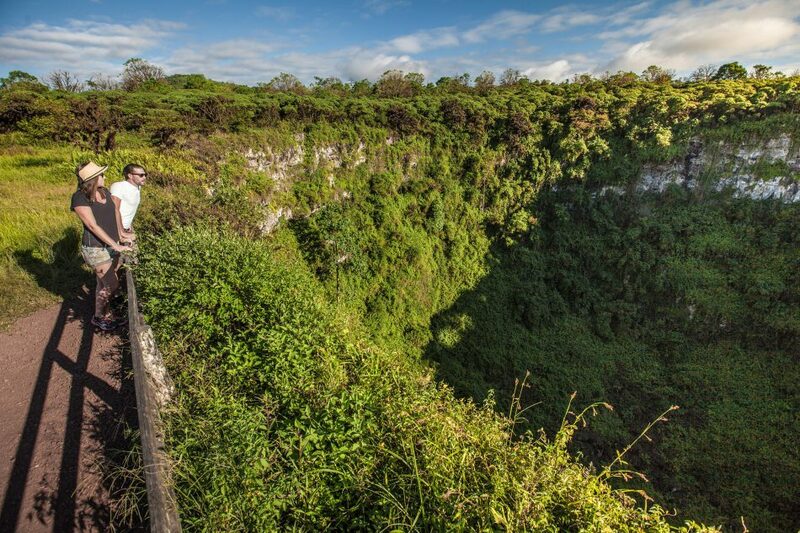 Smack-in-the-middle of the island, like a sunken heart, lie the Gemelos (or Twins), volcanic sink holes that have imploded to form two spectacular holes. You can walk along the edges and peer into the vegetated walls of stone. 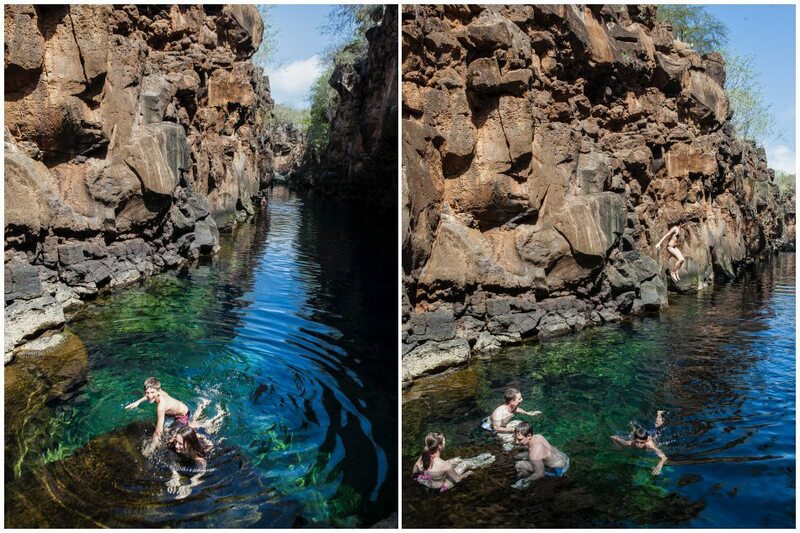 Other fascinating remnants of the island’s volcanic history are its lava tunnels. 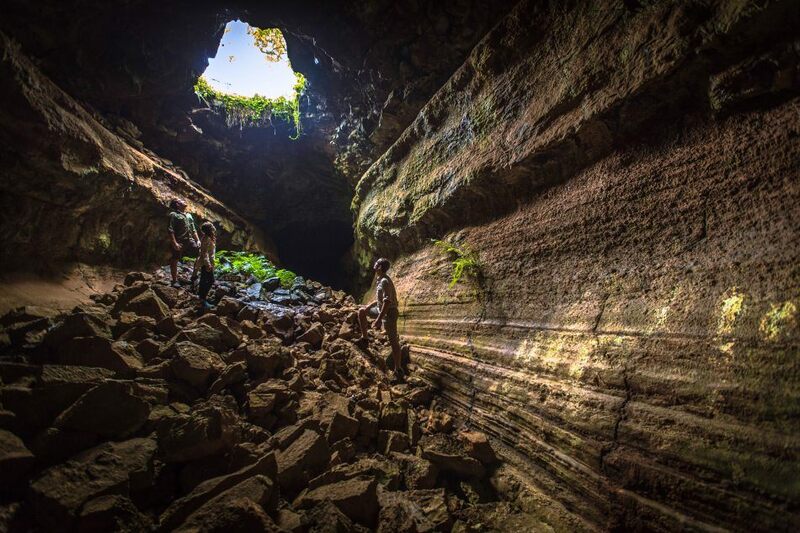 Although they look and feel like caves, they are actually the result of bubbles created during lava flows that remain hollow as the temperature turned the lava into stone. 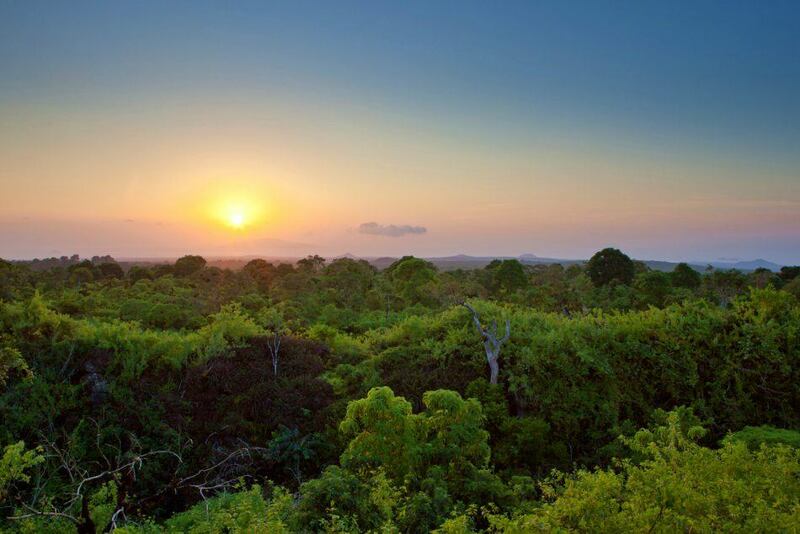 Our safaris take you beneath the ground where you can learn about the origins of the island. The highlands are your best bet for finding tortoises, which usually look like enormous boulders in the grass. This is one of the great encounters, to meet these fascinating creatures in the wild. 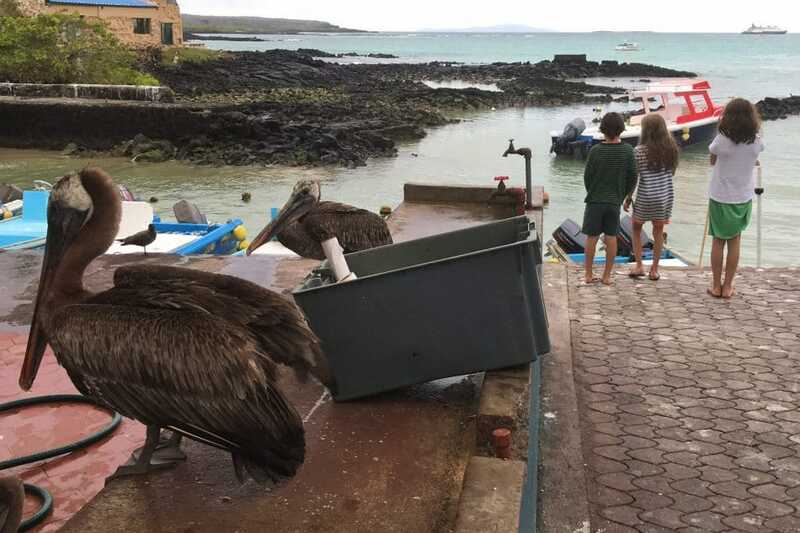 Most Galapagos tours are arranged to – at least briefly – stay or stop on Santa Cruz, either to embark visitors on a cruise or serve as a base for other tourism operations. 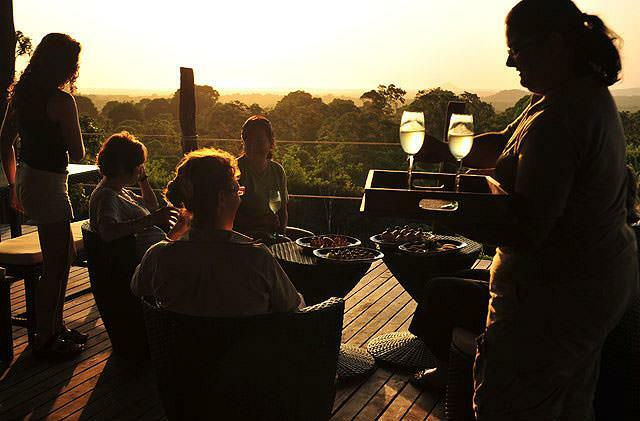 As Galapagos Safari Camp’s proud home, we’re excited and always looking forward to show each new visitor around. 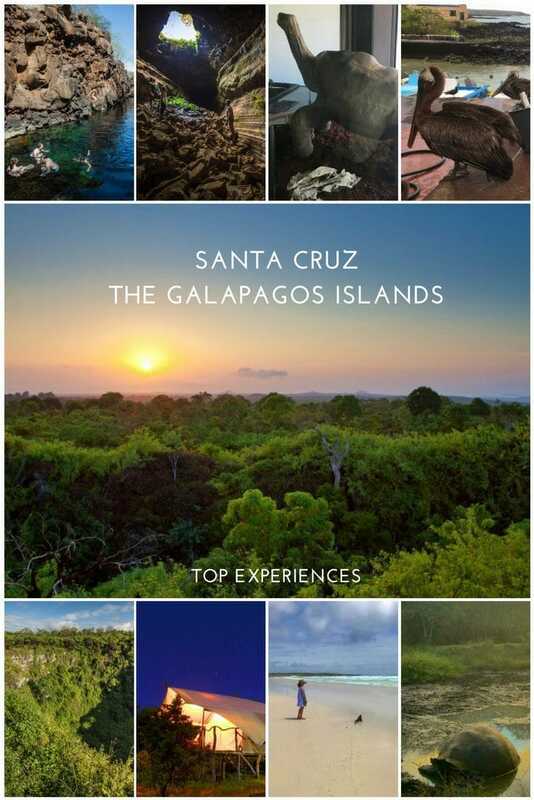 To help plan your trip to the Galapagos Islands, pin the image below to one of your Pinterest boards.